Well now really.....these two just make it really unfair for the rest of us ;) Do you see how cute they are together!? Look at the way Ashley is looking at Oj in this photo....I mean, that just says it all there, folks. 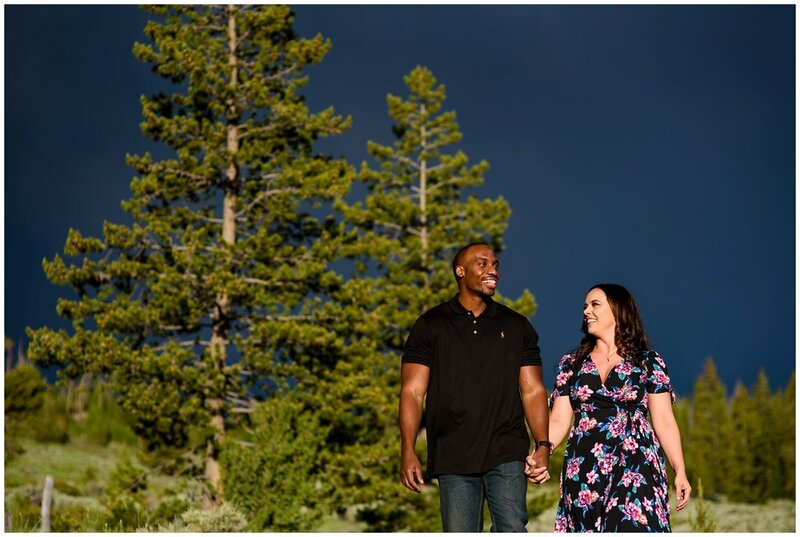 I was super excited for this session (and for their wedding in September in Vail! )- I have known Ashley since I was like 5 or something....so she was even younger! I went to school and grew up with her sister who is my age...and so I was so excited to see her and meet her fiance! It's always the people who tell me how horrible they will be in front of the camera...that totally kill it (IMO). 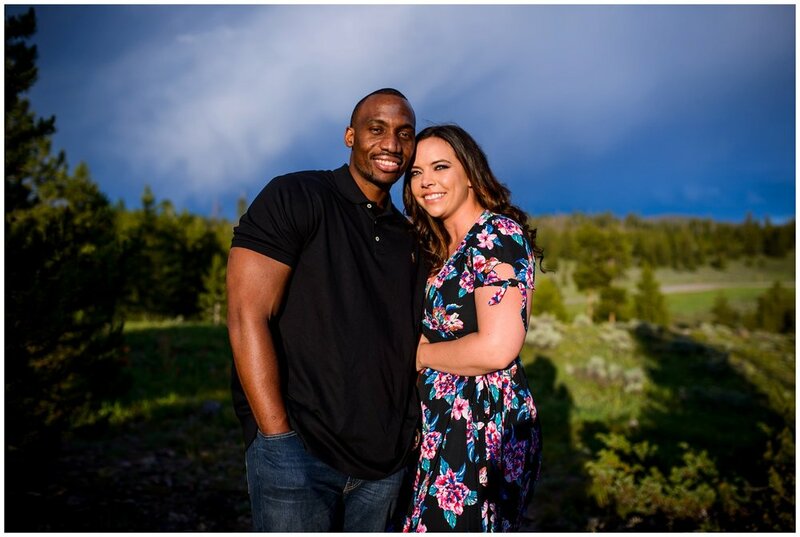 Here's the thing though, you can't fake honest to goodness love and connection....and these two have it! All I have to do is keep the shutter going, and maybe say a few silly things...and they do the rest ;) They were just so silly and fun- my perfect peeps! 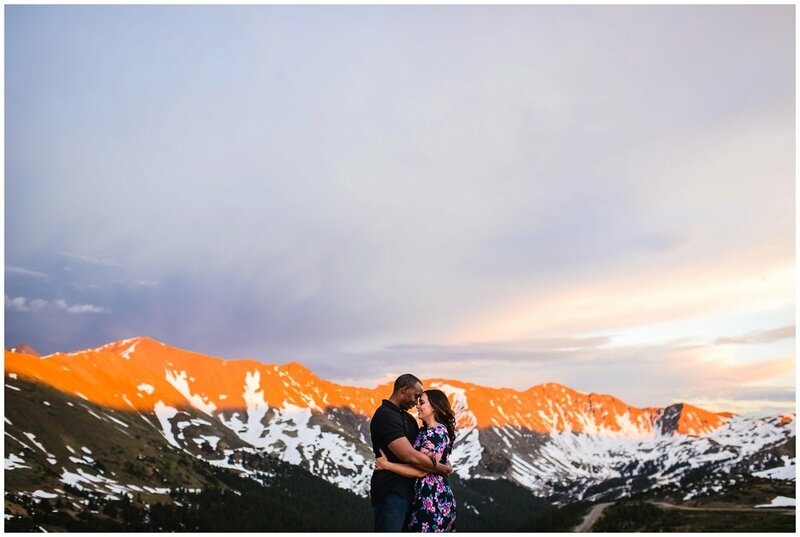 We met up in Dillon and grabbed the last bits of sunset around Lake Dillon, and then drove the backway up Loveland Pass to catch the amazingness of a perfect Summer sunset and twilight. Seriously ya'll, those clouds and color are real!! I know. 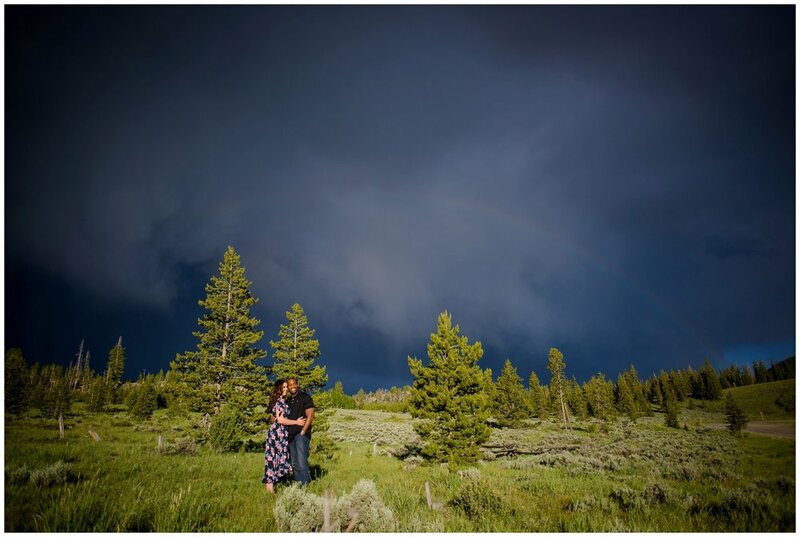 Also, in this first photo, you can barely see the end of a huge full Rainbow above them-- I was literally running across the street to get it before it disappeared...I wish it was brighter- but we know it was there!! The cool part of this, after we got the photo, Ashley was telling me how her mom was just telling her that a Rainbow was good luck, etc...and wouldn't that be awesome if there was one...and we literally got out of the care and saw this. It was so cool! Gotta love Stormy colorado Skies!! 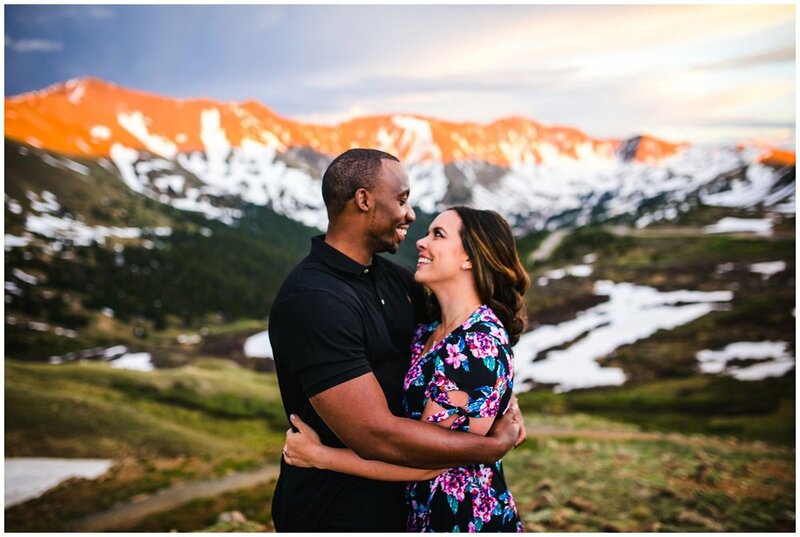 Congrats to you both- and I can't wait to photograph your wedding in Vail the Fall!! I know it will be spectacular!! !